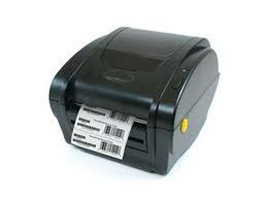 We use thermal printing to produce a high-quality barcode image. This system produces a long lasting professional image. We print on a range of sizes of adhesive labels using a professional barcode printer. Our Barcode label printing service can prove to very very economical, as you do not need to buy a printer or any consumables. We dispatch most orders the next working day so as to ensure a fast turn around (orders over 10,000 labels are normally dispatched within 2 working days). We scanner check the labels before dispatch to ensure that they are reading correctly. Our printed labels have a professional appearance. Some examples of our labels are shown in the image below. Please note that only the 50mm x 35mm can have any text entered above the barcode image. To take advantage of our Barcode label printing service, simply click on the printer image below or click here. Of course you will need to already have barcode numbers to order printed labels. If you haven’t got them yet, we can of course help with that to. Simply select how many you want to buy in the box below and click add to cart and complete the checkout. 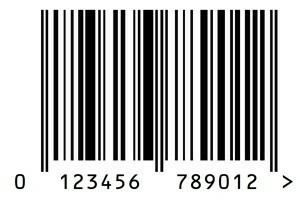 Details of our barcodes can be seen here. We can print different size labels, however custom sizes are subject to a minimum order quantity. Custom size labels are normally dispatched within 7 working day (these take longer as we have to order the size of adhesive labels required). Please contact us if you wish to order a custom size of printed barcode labels. Click here to see an example of a product listed on amazon using not only our printed barcode labels, but also a barcode number supplied by us as well. Should you have any questions please feel to contact us.